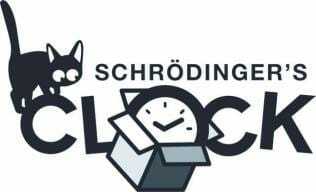 What is the point of Schrödinger’s Clock®? Over the centuries, many mechanisms have been developed to tell the time – from water clocks to atomic clocks. It is always assumed that the timepiece is telling the right time (i.e. Now), even when not observed. 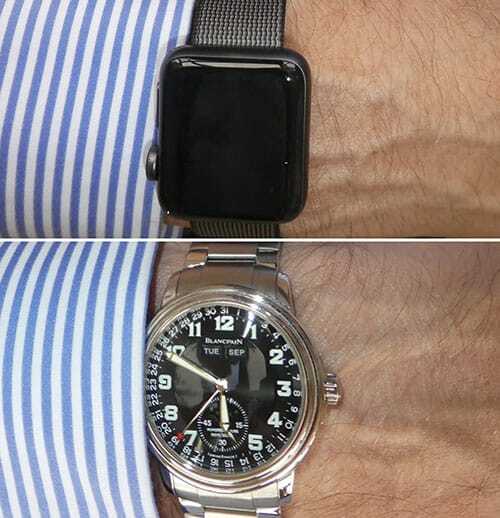 When Apple introduced its watch, the designers logically decided to increase battery life by turning off the display when the wearer did not need it. This raises the question: when nobody is watching it, does the Apple watch tell the right time (Now) in the same way that a mechanical watch does? This is the same question (in a different form) that the physicist Erwin Schrödinger considered in the early days of quantum mechanics. He explained his view on one aspect of quantum mechanics with his famous thought experiment of the cat in a box. From the outside, the Observer cannot tell if the cat is alive or dead; it is only by the act of opening the box that the Observer can determine the state of the Cat, in the same way that turning the wrist turns on the Apple Watch because the wearer is then Observing the Watch. Thus, the famous paradox of Schrödinger’s Cat was created and the principle of the Observer Effect was illustrated. Schrödinger’s Clock® illustrates the same principle except that it uses the universally understood concept of time rather than cats.